The Cornell Hotel Society Chicago Chapter joined SHA students, Richard Adie ‘75, and Ravinder Kingra MMH’12 for dinner on January 18, 2018. 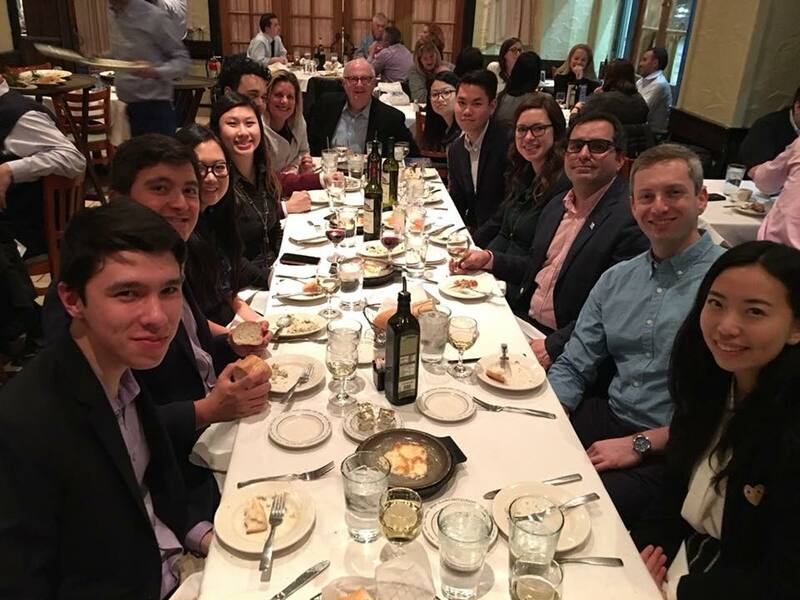 Local alums Jennifer Perna ‘92, Steven Stern ‘07, Sophia Lin Kanno ‘05, and Stacey Nadolny ‘05 enjoyed a lively dinner with the group at Chicago’s iconic Greek Islands. The eight students spent the week touring Chicago as part of the Hotel Leadership Development Program. Thank you to all of the local alums that provided their time and resources this week for the HLDP students! !